Yes, eating fruits means cutting stress and diseases. But, is there such a thing as a better and proper way to eat fruits and when to eat them? Many of our PYRO-ENERGEN newsreaders have been asking it, since they have read it on the internet or received a chain letter e-mail saying that "you should eat fruits on an empty stomach so that your body can absorb it properly". Is it true or false? Some say that you should eat fruit in the morning, and always with a few protein foods. If you want to eat fruit, eat it before meal. Well, let us clear these debates and arguments. - It is good to eat fruit together with protein foods. To absorb full nutrients from fruit on an empty stomach is to eat it with a few protein foods such as a slice of bread. 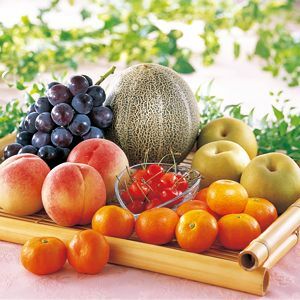 In this way, most of the nutrients from fruits will be digested well and taken as energy by your body. Yes, this is considered an acceptable reasoning according to many doctors whom we have discussed this issue with. - Eating fruits after a meal may cause bloating. Some doctors say that eating fruits straight after a main meal may cause bloating or produce gas. They explained to us that this is because some fruits are high in fructose (sugar found in fruits), and when digested by your body, a gas may be produced in your large intestine through fermentation, if your body's ability to metabolize the excess fructose has exceeded. This happens especially in persons who have fructose malabsorption, where they should absorb fructose in limited amounts. Most fruits especially citrus fruits are acidic, but they will turn to alkaline in your body after they have been metabolized. Fruits are the roots of health, energy, and longevity. We do not recommend fruit juices in a can or bottle, especially soda-mixed fruit—soft drinks that may be against your health and beauty. Moreover, it may create stress later on, since they can destroy all nutrients especially vitamins in the body. It is best to eat whole fruit rather than drinking the juice of it, because juicing will reduce the fruit's fiber content. Most fruits have no cholesterol. Fruit stimulates our minds and helps recall memories. 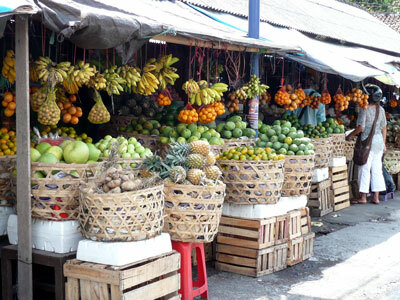 Don't you know that fruits have healing effects for many diseases as well as the mind? Aside from it, the majority of beautiful girls love to eat fruits. Fruits may be the key to beauty. Scientifically, fruits contain more medicinal properties than other foods. Is it the reason that fruitarians are healthier than average people? In fact, we eat fruits or fruit salad every day as long as we can afford especially during our snack time. Is it also the reason that we are healthy and we are wise and talented? Ha-ha. By the way, fruits are not medicine to cure diseases. They may only be considered medicinal and may have power to remedy your health maladies. For your information, most of the time, I eat fruits after meal and during snack time. I do not feel anything wrong eating fruits after meal, and you cannot eat a lot of fruits when your stomach is full anyway. Saying that you should never eat fruit after meal is nonsense—it's good to eat fruits after meal as DESERT! I am at least healthy and I have never contracted any diseases until my old age by eating fruits after meal. How about you?